Catherine is a family law practitioner who specialises in public law in Children Act work. Catherine also undertakes private law cases. For the first 18 years of her career, Catherine practised in both family and criminal law which has provided her with a wealth of experience in cases involving serious allegations of physical and sexual abuse. Catherine now practises exclusively in family law. 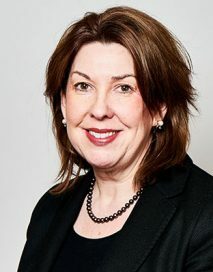 Catherine has appeared regularly on different sides of disputes and has acted for parents/family members including grandparents, intervenors and Local Authorities, Guardians and the Official Solicitor. Catherine undertakes complex cases involving all forms of child abuse including serious non- accidental injury, sexual abuse and FII including cases involving near fatal injuries to children and she has recently conducted several cases falling under High Cost Contracts. Catherine has recently appeared in the Court of Appeal as junior counsel led by Janet Bazley QC for the mother in a case which the decision from the lower court was upheld. The Local Authority had appealed against the refusal to make care orders (and placement orders) based on care plans for adoption. The appellant court upheld the decision to allow the 3 youngest siblings from a group of 6 to reside in long term foster care instead of adoption, thereby preserving the sibling bond. A (Children: Adoption Long Term Foster Care), Re  EWCA Civ 1021. Catherine has been regularly instructed on behalf of privately paying clients involving contact, residence and removal from the jurisdiction. Catherine has considerable experience in dealing with vulnerable clients and one of her many strengths is her high level of client care and empathy. Catherine has experience of advocacy at all levels in both family and criminal jurisdictions including the High Court and Court of Appeal both Criminal and Civil Divisions and Court of Protection.